The Raptors have continued their winning ways and everyone in Raptor Land is heading to the quad and into the gymnasium! If you don’t know where that movie reference is from, give your head a shake and take a lap. The Raptors have started the season with a franchise best 6-0 start and it doesn’t look like they’re slowing down. If we are talking honestly, then you have to admit that the Raptors aren’t close to their potential yet and that’s a scary thought. They can clean up their unforced turnovers and their offensive execution in late-game situations, but other than that they’re looking like a team on a mission. The Klaw, Kawhi Leonard, was a menace in his first week with the Raptors and this week was nothing different. He has averaged 26ppg, 6rbds, and 4.3 assists per game which is MVP type numbers and I still don’t think he’s 100% yet. Kawhi plays with a certain calmness that most players would die for, but also plays with a sense of urgency when it’s needed. He has been able to blow by defenders with his wicked handles and first step explosiveness, which have led to rim rocking dunks or open three pointers for his lock and loaded teammates. Also, let’s not forget about his no look steal because that was absolutely ridiculous, and no Daniel Schreyer, he did not fall. Overall, Expect Kawhi to keep this up, and as Randy Bachman once sang “You Ain’t Seen Nothing Yet”. The Conductor- Say it with me folks, Kyle “Frickin” Lowry, everyone! This dude had a monster week in which he averaged 16.3 ppg, 14 apg, and 4 rebounds per game. He leads the NBA in assists per game and he is doing it with ease. He has been able to find players in their spots due to the Raptors spacing on the court. Lowry’s not known for being an elite passer but he’s putting those notions to bed. Overall, that stat line is incredible considering everyone had their doubts about him going into the season after his bromigo was traded. The Raptors’ point guard has squashed the doubt and instead is putting the Raptors on his back on the way up to Larry O’Brien Mountain. The Go Daddy Curse - CJ “Sniper” Miles was all over the place this week. It was full of questionable lay up attempts, missed open 3 pointers, and commercials where he is showing off his new PJs for Go Daddy. I love the commercial because it seems like it fits his personality and it wasn’t forced, but let’s get back in-between the lines. The two things that have stayed consistent throughout the first 2 weeks on the court are his hilarious facial expressions and his defensive effort. Miles has made an excellent effort of not letting his offensive struggles effect his defensive mind state, which is huge because Coach Nurse recognizes that and will continue to believe in his play whether he is making shots or not. HE’S TRYING, JENNIFER! It was nice to see Miles knock down some 3 pointers in the win against the Mavericks, and he also had a huge steal after a Raptors’ turnover that resulted in a smooth slam dunk for the father who only wants more juice. Miles is a like a kid who’s gitch is stuck on the fence after running away from some bullies. So hopefully this game helps him break off that fence and into the land of buckets. The Dreaded Defensive Rebounds - Overall this week the Raptors out-rebounded the Mavericks and the Hornets, and also managed to tie the Wolves as well. You think I would be ecstatic with that stat line but clearly I’m on the fence. The Raptors have given up too many offensive rebounds and second chance points during this 3 game stretch. The Raptors gave up 16 offensive boards to the Wolves which resulted in easy put-backs or open 3 points, and it was the same story against the Hornets in which they gave up 14 offensive rebounds. I know the Raptors have gone with smaller lineups and that’s why I’m on the fence, but also rebounding is an effort stat that starts with proper box-outs and knowing who you’re defensive assignment is. If the Raptors are able to clean up that stat, they can start closing off more defensive possessions and create more transition buckets for easier ones. More buckets = more problems for the opposing team. Zo needs to stick to the basics. As my friend and music artist, Krayc, once said, Lorenzo needs to “Go back to the basics.” Lorenzo had gotten some more run this week, which is great for him, but overall his performance during the timeframe wasn’t that great. The dude is a defensive threat and he showcased that, but he tried to put his offensive game in the Hall of Fame showcase and it didn’t go so well. He took too many contested buckets early in the shot clock in which he could have dished it out to one his teammates for a better look. He also did a poor job of managing the clock which resulted in too many late clock situations and forced shots for himself or his teammates. He made up for it during the 4th quarter of the Mavericks game with some key steals and by knocking down an open 3 pointer during a key stretch. Overall, he needs to play like a Jose Calderon and manage the game, but at times he played like a poor man’s Mike James. Overall, if Lorenzo Brown is able to stick to his role of just managing the game and not forcing his offense, he will get out of this section. 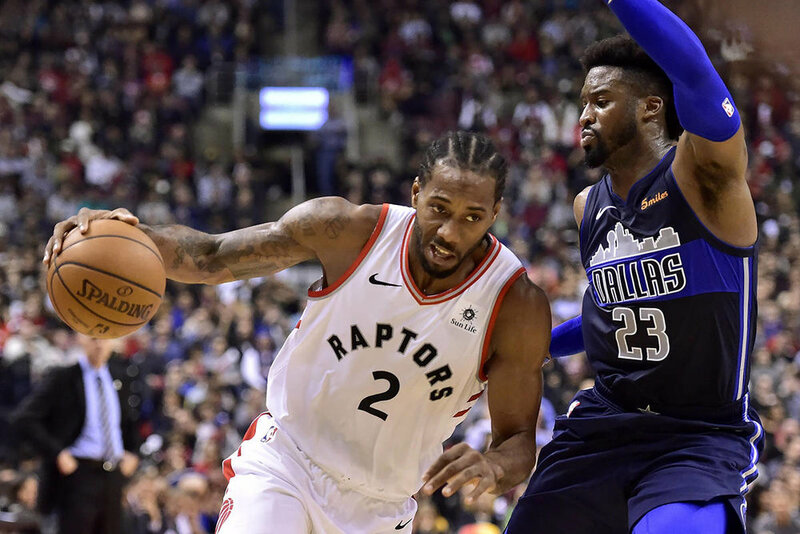 The MVP chants – Fans at the Scotiabank Arena need to stop the MVP chants for Kawhi Leonard! The MVP chants for Leonard were pretty cool but anymore MVP chants and we are about to become the spouse that becomes too clingy and needy; we all know how that works out. “I gotta get out of here, I got a stage-5 clinger.” Vince Vaughn said it best in the movie Wedding Crashers, and if Kawhi keeps hearing those chants this early into the season, he’s going to dip to LA. Maybe I’m exaggerating a bit and being too harsh, but Raptor fans need to chill for a bit on the chants and let them out when it’s game 82 and we are going for our 70th win. If anything, shower Lowry with the MVP chants if he ever gets to the line in the 4th quarter (wink, wink NBA refs) because that dude is the leader of the train. I know it’s hard not to shout MVP, especially when he Is playing like one, but let him get to his peak MVP type of performances in the late season. Don’t worry, they will be there (knocks on wood). We all want Kawhi to sign back with us , but shouting MVP during game 6 of the season isn’t the way to win his love. These are strictly my opinions and if you have any comments or inquires, then hit the comment button or mention me on Twitter (@rodzyalbizurez)!